Hello! 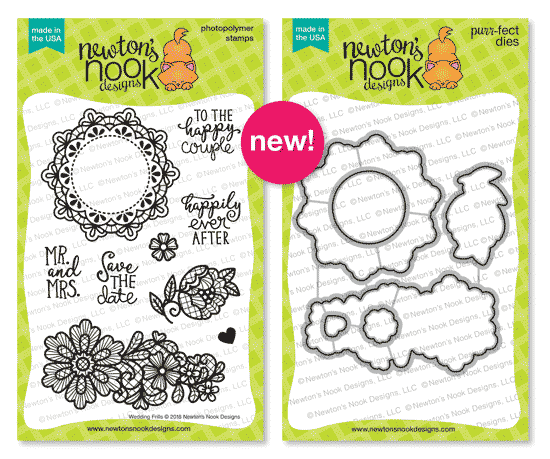 Wow, can you believe that we've already made it to day 4 of the Newton's Nook Designs April Reveals??? That means that tomorrow, all these new goodies that we've been showing you all week will be on sale in the store! For my first card, I started by stenciling over a light green polka dot paper with the new Floral Lace Stencil to create this vibrant background! I colored up the floral image from "Little Lilies" which is brand new and added a kitty from Newton's Costume Party to sit under the flowers. And oops, a little lily bloom accidentally fell on the kitties head! Lastly I added a sentiment from the Lily set on one of the banners fromFrames and Flags Die Setand mounted it at the top! 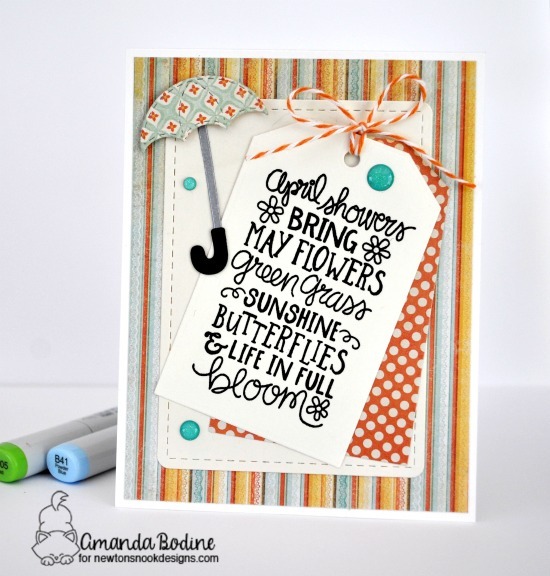 For my second card I stamped out this sweet sentiment/main image from "April Showers" on the Fancy Edges Tag Die Set and then cut another tag out from the orange polka dot paper and offset the tags together. I cut a rounded rectangle from the Frames and Flags Die Set and this sweet umbrella from the Umbrella Pals set. Lastly I tied some twine and added some glitter enamel drops to the scene. This card was super easy and I think turned out really pretty! 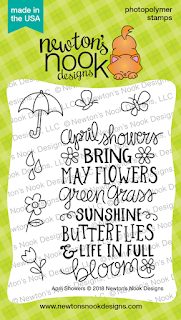 Would you like to win the “Little Lilies or April Showers” Stamp Set? 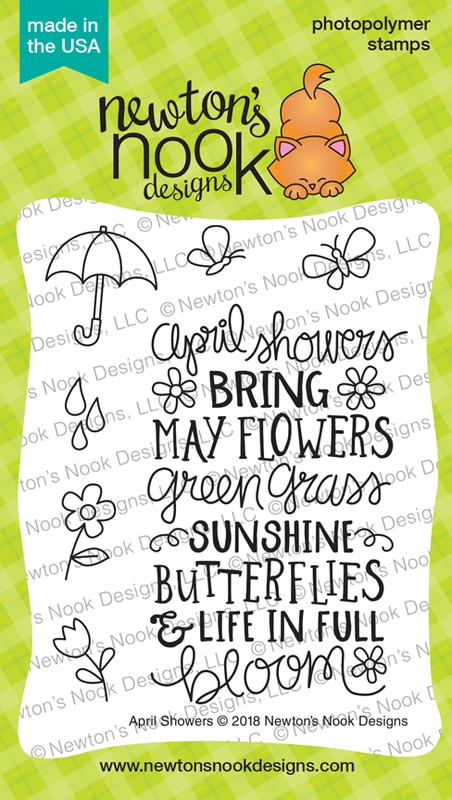 Omygoodness we are now on Day 3 of the April reveals for Newton's Nook Designs and today we're sharing projects using THE CUTEST stamp and die set, Umbrella Pals. This is a set I will be having LOTS of fun with. 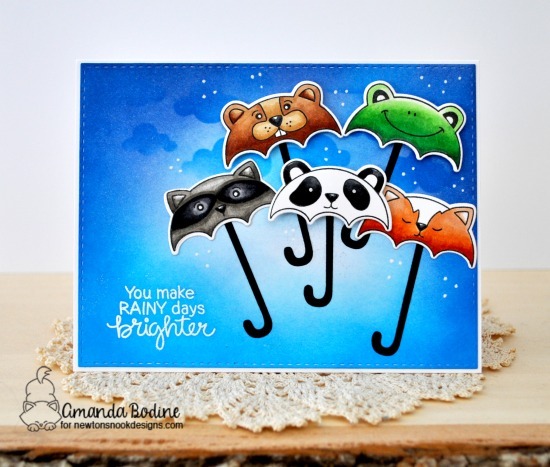 It's just too sweet, and aside from all the critter umbrellas, the actual die for this set cuts out the cutest umbrella all on it's own..stay tuned, I have a project tomorrow where I've used just the umbrella die itself! As for my card today, I die cut a stitched rectangle and heat embossed the sentiment in white. I then inked it up using Salty Ocean and Stormy Sky Distress Ink. 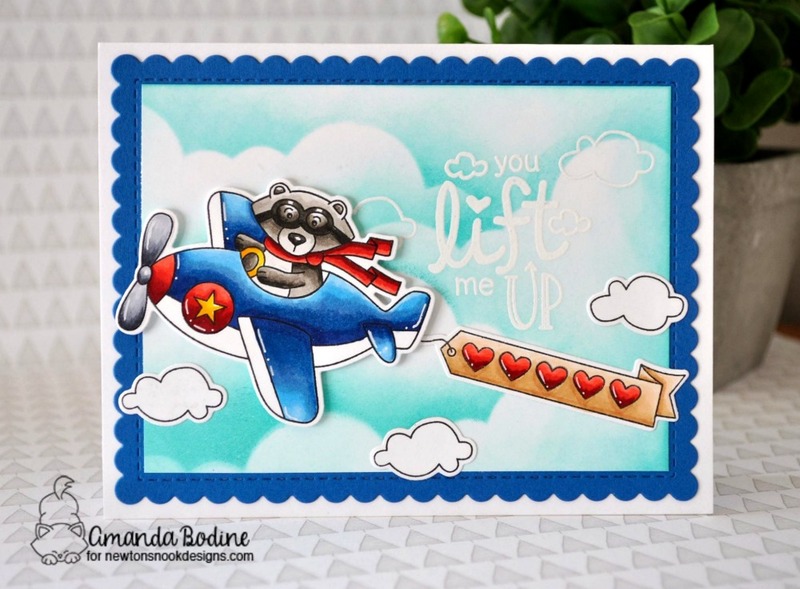 I used the Cloudy Sky Stencil and added some clouds in the sky using a heavy layer of Stormy Sky ink. I copic colored all my critter umbrellas and die cut some handles, then positioned the umbrellas where I wanted them. I popped up a few of them to create dimension. Lastly I added some little rain drops using my white gel pen. 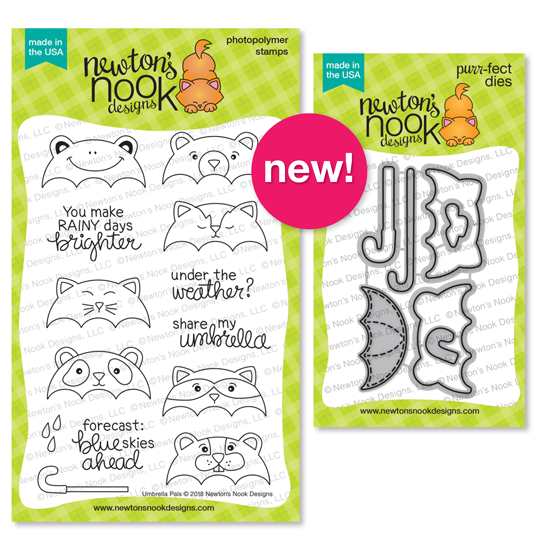 I hope you've enjoyed my project, keep scrolling for your chance to win this stamp set!! Hi everyone and welcome to day 2 of the April reveals over at Newton's Nook Designs. Today the team and I are showcasing this fancy new stamp/die set, Wedding Frills. 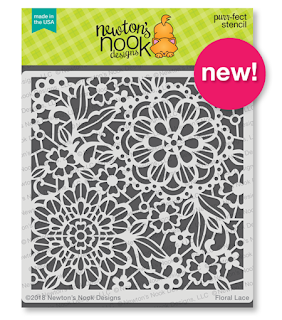 AND, a new stencil..soooo gorgeous...Floral Lace! 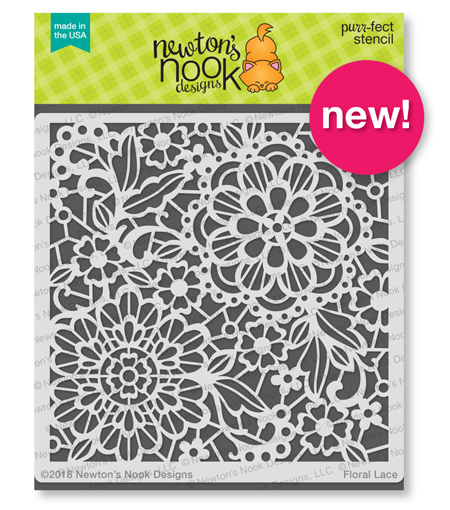 I played a lot with this stencil and have made so many gorgeous backgrounds to be used on future projects! For my card today, I went with a really different look, sort of a shabby chic light. I heat embossed the lacey frame and flower on some kraft cardstock. I then stamped the sentiment right in the middle with Versafine Black Onyx ink. I did a tone on tone stencil on the base panel, then assembled my burlap ribbon over a strip of pink cardstock. I needed one last element and it turns out pearls worked perfectly. It's so funny, right after I made this card, my husband and I were invited to the wedding of a co-worker. So now I have the perfect card for the event! 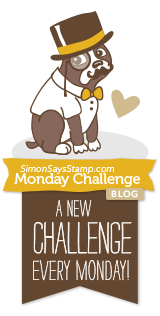 Thanks for visiting and keep scrolling to win the stamp set, Wedding Frills! 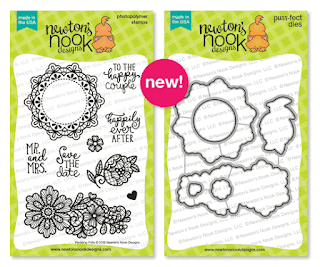 Hi everyone and welcome to day 1 of the April reveals at Newton's Nook Designs. All week we'll be showing you new product that will be in the shop this coming Friday, April 20th. Today we're showing off a new stamp/die set called "Newton's Graduation" along with this GREAT die set called "Essential Alphabet"! 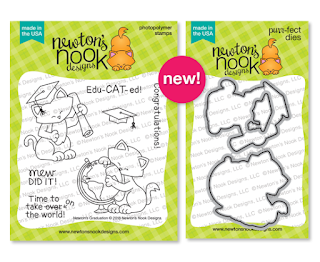 Somebody's going to win Newton’s Graduation, so keep scrolling to find out how! For my first card, I stamped out my image and copic colored Newton. I had practiced cutting out this amazing new Essential Alphabet die on some black cardstock and it sort of just struck me that the negative might make a fun background, like a chalkboard. I took a strip of patterned paper from my stash that had the bookshelves and glued it under. I then popped Newton and the sentiment up. Btw, that sentiment reminds me of Pinky and the Brain..anyone remember that cartoon with the mice that were going to take over the world??? For my second card I used the other main Newton image..I love that globe! 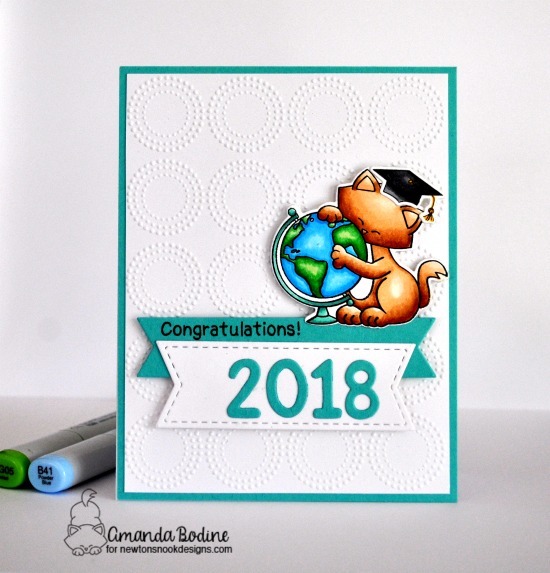 I used an embossing folder on the background, cut 2 of the banners out from the NND Frames and Flas die set and stamped the congratulations on the top banner and die cut the 2018 from the Essential Alphabet dies and glued on the bottom white banner. I then perched Newton on the banners to finish the card! Hello everyone, well we're half way through the week! 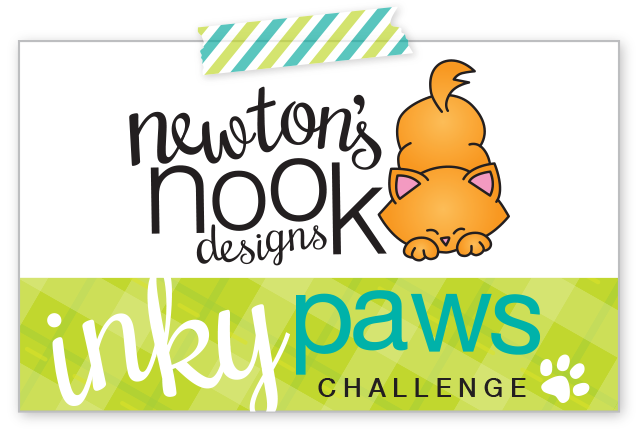 Today I'm up on the blog over at Newton's Nook Designs. 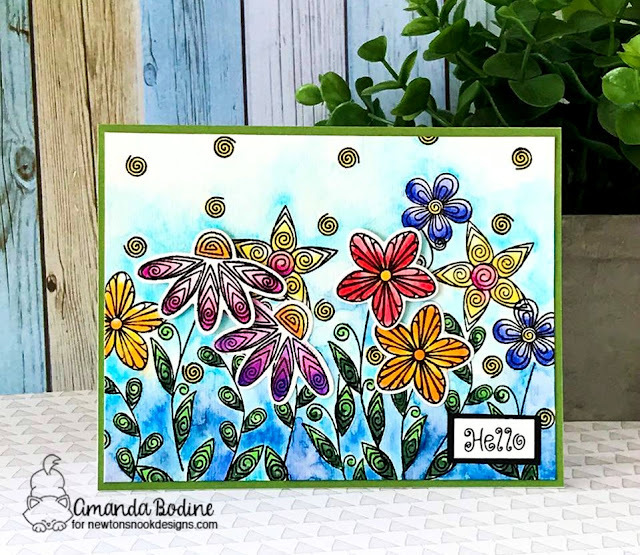 I was really in the mood to create a floral card and try out my new Arteza markers. Which by the way, I happen to love! I started with a piece of watercolor paper and stamped the flowers, stems and leaves from Beautiful Blossoms ramdomly. I also stamped a few flowers that I die cut so I could pop them up and give the scene dimension. I used the markers to color the flowers and leaves and create a blue wash background. Lastly I added the little Hello sentiment. This was a pretty simple card that turned out quite lovely. I hope you enjoy it and will leave a comment for me! Thank you, enjoy the rest of your week! Hello everyone and welcome to the 2018 Stamping For Autism Awareness Blog Hop! I am so excited and honored to be part of this important event, along with a long list of talented papercrafters, geared toward bringing awareness to Austism within the crafting community. Thank you so very much to Veronica Zalis, organizer of this hop, at So Many Stamps So Little Time for inviting me to participate! Click Here: to Take the Hop! Or keep scrolling, as I have a list of participants AND sponsors that will inspire you with some amazing projects AND lots of fabulous prizes! 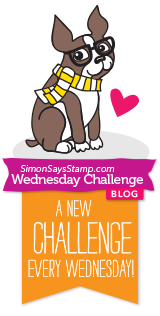 You should have arrived from the incomparable Sandy Allnock's blog! You won't want to miss seeing what she's created, so head on back if you haven't already visited her blog. I am so excited to have been able to work with this new sentiment set and puzzle die by Taylored Expressions, "Look With Your Heart". These products are available starting today! I've linked them below with a special message from Taylored Expressions, so keep scrolling! 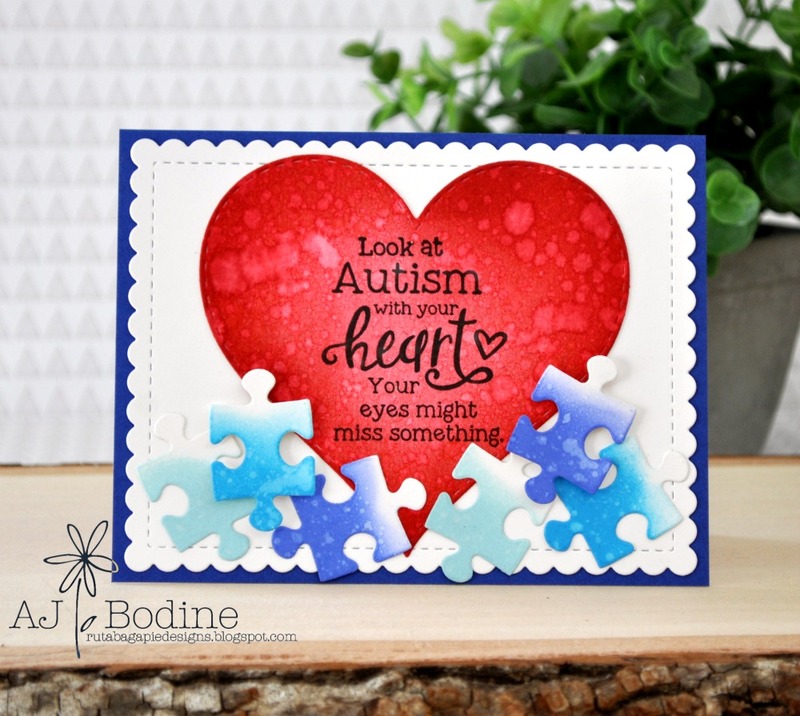 Heart and puzzle pieces were inked with distress ink and water splattered to create this fun look. I love the sentiments in this set so much, I had to create a second card. I thought the cheeriness of this die by MFT called End of the Rainbow and the matching puzzle pieces by TE would be so pretty dancing in the clouds. And how about that amazing sentiment?! 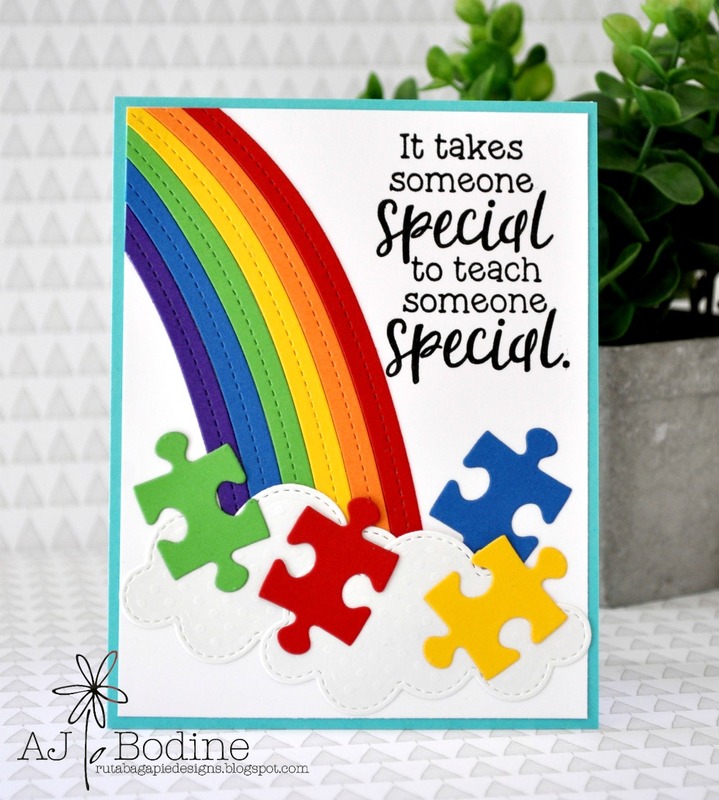 So perfect for very special teachers and parents that work with autistic kids! Taylored Expressions has committed to donating 25% of proceeds from April's sales of the "Look with your Heart" set to the Autism Society. They hope to be able to make a BIG donation! Before you head on, I thought you might be interested in some quick facts on Autism from the Child Mind Institute! I'm dedicating this blog post to 2 special friends that are both AMAZING mothers of autistic children. They've taught me so much, it's a true joy to witness the bond they have with their sweet and gifted children. Thank you so much for your visit..now onto the hop!